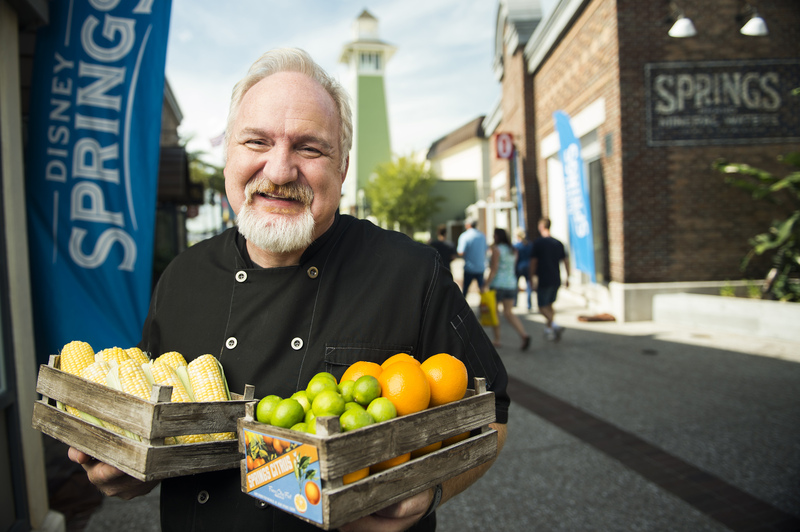 LAKE BUENA VISTA, Fla. – Celebrity Chef Art Smith is bringing a taste of real Florida to a new restaurant opening in summer 2016 at Disney Springs at Walt Disney World Resort. Homecoming: Florida Kitchen and Southern Shine will showcase the cuisine of Chef Smith, who was born and reared in the town of Jasper, Fla., on the Florida-Georgia border. After 25 years of preparing award-winning meals for celebrities and heads of state and appearing on television, he is making Florida his home once again. “I couldn’t be happier about coming back to Florida and Walt Disney World Resort,” he continues. “To be able to prepare the food I love in the place where I have so many special memories is a dream come true.” Smith is a sixth generation Floridian, and his family still raises cattle, pecans and heirloom vegetables on their ancestral farm. Smith’s expertise is all over the menu from Southern favorites like homemade pimento cheese, Church Lady deviled eggs, low country shrimp and grits, kale salad with Sweet Grass Dairy cheese and spiced pecans and a grilled Blackstrap pork chop with sawmill gravy. “Each dish has a little Florida twist and makes guests feel like they’re on the back porch with me for every meal,” says Smith. Disney Springs is a one-of-a-kind Disney experience, treating guests by day and night to great dining, shopping and entertainment amid beautiful open-air promenades, flowing springs and waterfront charm. With an air of sophisticated grace and design that harkens to Florida’s waterfront towns at the turn-of-the-century, Disney Springs is home to four distinct, outdoor neighborhoods opening in phases: The Landing, Town Center, Marketplace and West Side. When fully completed in 2016, Disney Springs will double the number of shopping, dining and entertainment venues – from the current 70 to approximately 150. Disney Springs is part of the Walt Disney World Resort, the number one family vacation destination in the world, located in Lake Buena Vista, Florida.